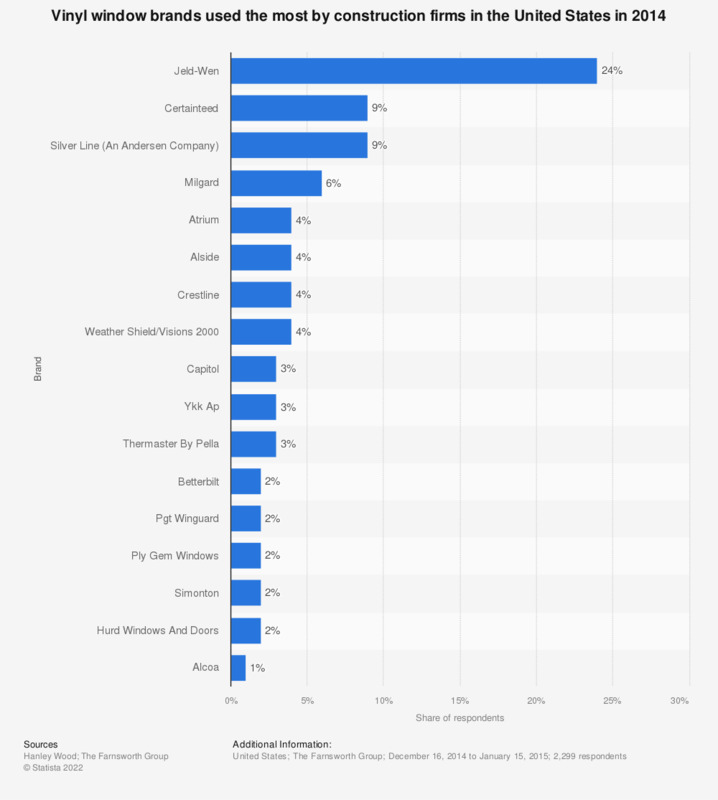 This statistic depicts vinyl window brands used the most by U.S. construction firms in 2014. The survey revealed that 6 percent of the respondents use Milgard brand the most. * Page 449 of Adobe publication.